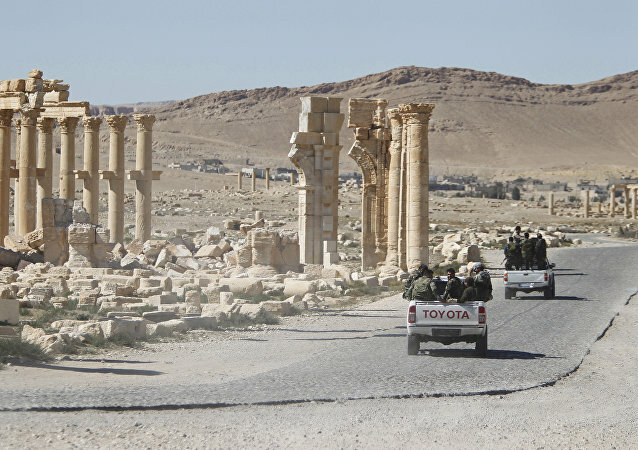 Daesh* terrorists seized control of the ancient city of Palmyra in central Syria in 2015, systematically destroying parts of the ancient ruins and stealing Roman-era artifacts to sell on the black market to raise funds for their jihadist operations. 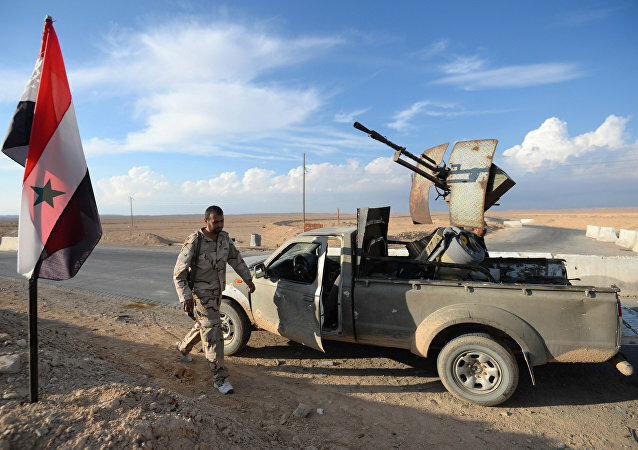 RASTAN (Syria) (Sputnik) – Syrian refugees are afraid of returning to the city of Palmyra in Syria’s Homs province as long as there are US forces nearby in at-Tanf as well as some Daesh* militants in the neighboring desert, the regional governor said Wednesday. Earlier, a Syrian military source told Arab media that Daesh (ISIS) had launched an offensive in the direction of the ancient city. 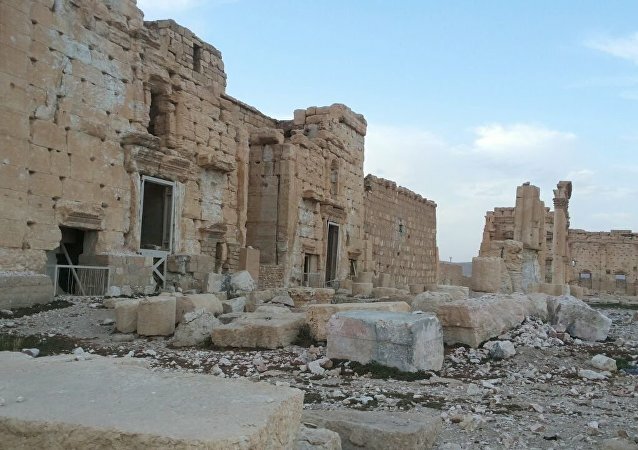 The terrorist group had already captured and then lost the ancient city in Homs province, central Syria on two occasions to Syrian forces backed by Russian air support in 2016 and 2017. The Russian Defense Ministry has stated that two Israeli aircrafts attacked the Syrian T-4 airbase earlier in the day; Israel has yet to comment on the information. A senior UNESCO official has told Sputnik about the fate of showpieces in the war-torn Iraq and Syria. The destroyed portions of Syria's Palmyra, an ancient city that had been under Daesh control, could get a second life with the help of new technology such as 3d printing. 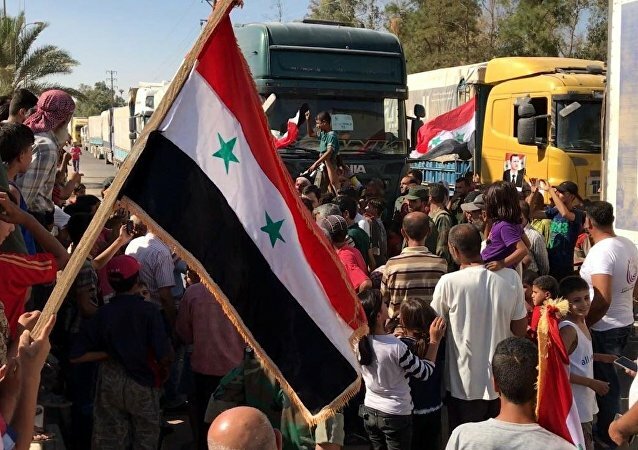 The residents of Syrian city of Deir ez-Zor are greeting the 5th corps of the Syrian army with flags and portraits of the country's President Bashar Assad after they overran the positions of Daesh at the main southern entrance to the city, a Sputnik correspondent reported Sunday, adding that it is a third major victory within a week. The Russian Defense Ministry said that the Syrian army is advancing toward the besieged city of Deir ez-Zor with the assistance of the Russian aviation. The Syrian Army is completing an operation to encircle a large Daesh force in the town of Akerbat in the eastern part of Hama province. Having liberated al-Sukhnah, the Syrian Arab Army (SAA) is likely to launch an all-out advance against Deir ez-Zor moving simultaneously from the west and from the north, Sputnik contributor Andrei Kots writes, explaining why the two settlements are of great strategic importance for Daesh (ISIS/ISIL).